We are instrumental in manufacturing and supplying a comprehensive range of Ethers that are widely demanded by different industries. Under this range, we provide 14-Ethoxymetopon, 14-Methoxymetopon, 17-Dimethylaminoethylamino-17-demethoxygeldanamycin and 17-N-Allylamino-17-demethoxygeldanamycin. All our chemicals are available in various size of packs at market leading prices. We pack all these products using premium packaging material to assure safety during transportation. 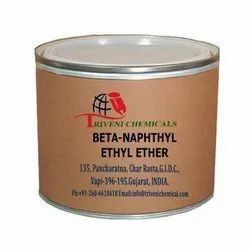 Beta-Naphthyl Ethyl Ether (93-18-5) is white crystalline solid. it is also known as 2-Ethoxynaphthalene, Nerolin Bromelia and Ethyl 2-Naphthyl Ether. Storage: Keep container tightly closed. Keep container in a cool, well-ventilated area. Cedrol Methyl Ether (19870-74-7) is colorless to pale yellow clear liquid. it is also known as Cedramber. it is use in perfumery, food flavours, Aromatic, cosmetic, Soap Detergent and Fraganance Industry. Storage: Keep container tightly closed. Keep container in a cool, well-ventilated area. 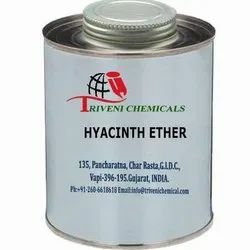 Hyacinth ether (80858-47-5) is colorless to pale yellow clear liquid. it is also known as Phenafleur. it is use in perfumery, food flavours, Aromatic, cosmetic, Soap Detergent and Fraganance Industry. Storage: Keep container tightly closed. Keep container in a cool, well-ventilated area. Phenyl Ethyl Isoamyl Ether 56011-02-0 is colorless clear liquid. it is also known as Green ether. Storage: Keep container tightly closed. Keep container in a cool, well-ventilated area.